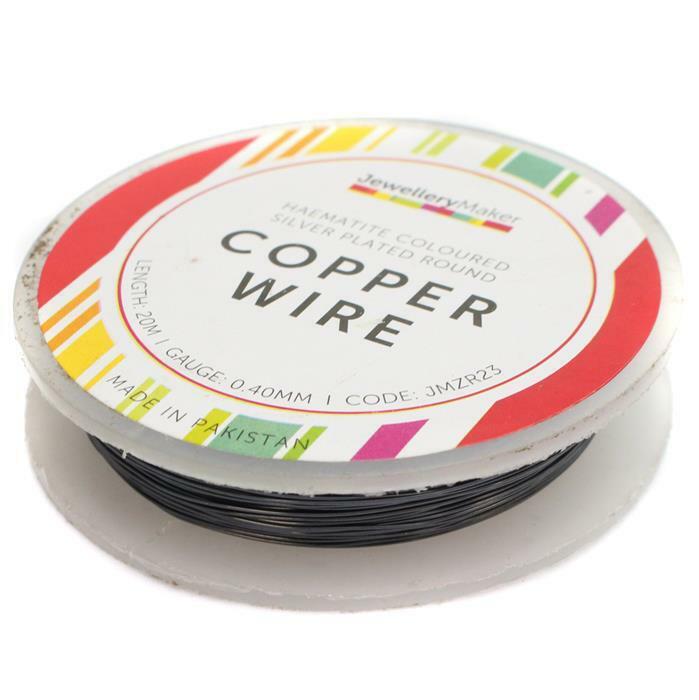 This deep, lustrous Haematite 0.4mm Silver Plated Copper Wire is essential for so many jewellery-making techniques. Strong, with its tough copper core, yet shiny and smooth with an anti-tarnish coating, this mid-gauge 0.4mm wire is great for making eyepins, wire wrapping hair accessories, wire crochet and also viking knit. Fancy making bridal tiaras and fascinators? This gauge is ideal! With 20 metres on the reel, why not pick this up and top up your stash. Thank you for your feedback regarding items IKZR09 and JMZR23. We're sorry to hear that you were disappointed with the coating on both of these items and that this was not what you had expected. If you are unhappy with these products, we would recommend returning the items back to us under our 30 day money back guarantee for either a refund, replacement or a credit. Nice colour, very very soft to use.